SONS & mothers Wins Gold! Less than two weeks after its World Premiere at the Adelaide Film Festival SONS & mothers wins its first award. 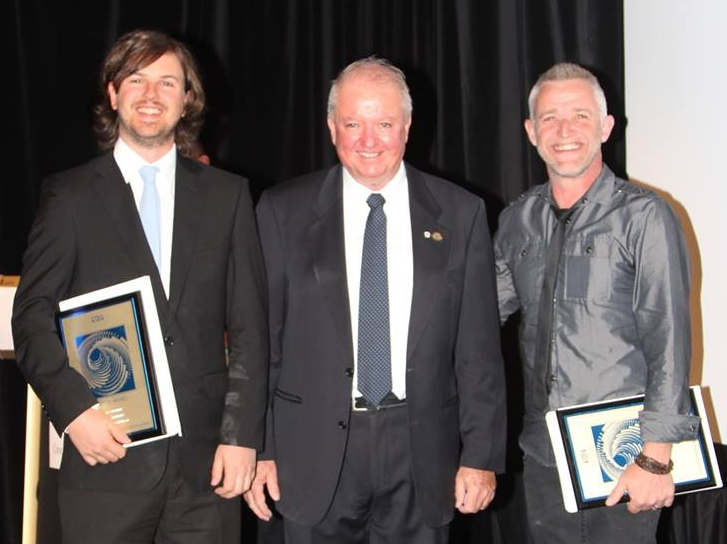 This year at the annual Australian Cinematographers Society SA & WA awards Aaron Gully and Maxx Corkindale won Gold in Documentaries TV & Cinema for SONS & mothers. In Aaron and Maxx’s acceptance speech they thanked the team at POP Pictures, Christopher Houghton (Director) and Louise Pascale (Producer). Aaron called the film “an enlightening and eye opening experience” and as a result he rings his mum a lot more now. Its sublime cinematography and intimate frames makes SONS & mothers a stand out piece in contemporary Australian documentaries. POP Pictures is very proud of the win and extends its gratitude to Aaron and Maxx for their dedication to a production that spanned 18 months. They are exceptionally pleased for Maxx who began the project as second camera, but through the production was promoted to Director of Photography. His eye matched Aaron’s to the point it was hard to tell them a part in the edit suite. Their win now places them in contention for the National Awards in Queensland in May 2014. You can check out this award winning work in Adelaide at the Trak Cinema until November 9.